I hope you are enjoying the long weekend! 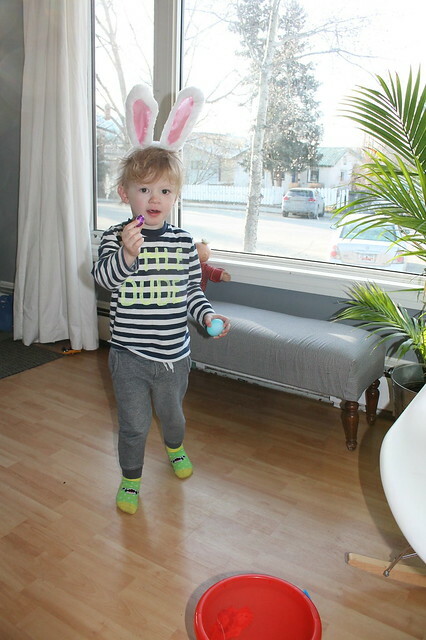 We've been having lots of fun with Easter stuff now that Axel is old enough to be excited about bunnies and eggs. 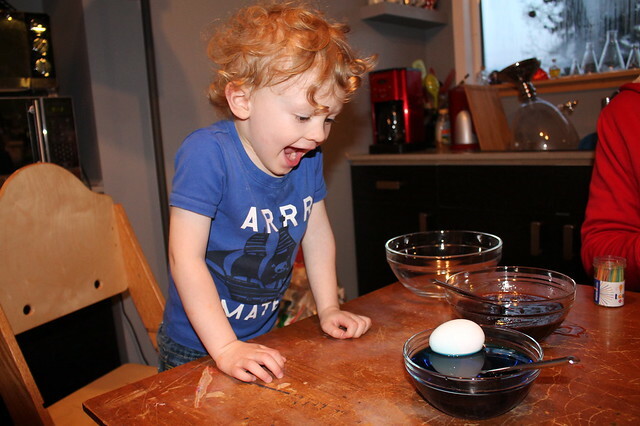 Axel helped blow out and dye the eggs. I'm impressed that we only broke one! 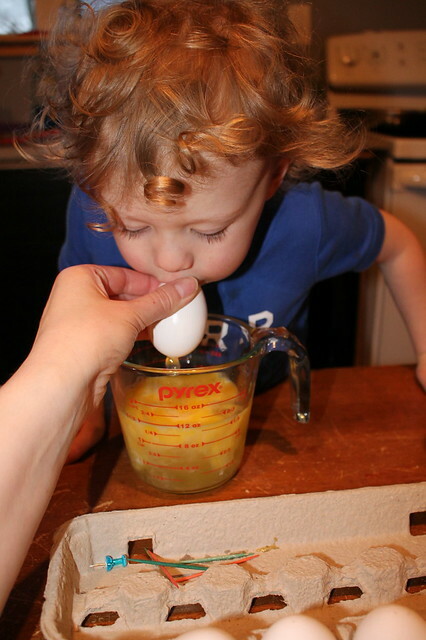 We used food colouring, water, vinegar and a bit of olive oil to get some pretty marbled eggs. 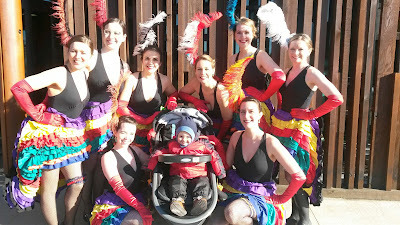 And it was easy enough for a two-and-a-half-year-old (with a bit of supervision). We decided to cook a turkey and invited a few friends over for dinner. I really need to host dinner parties more often, they're so fun! 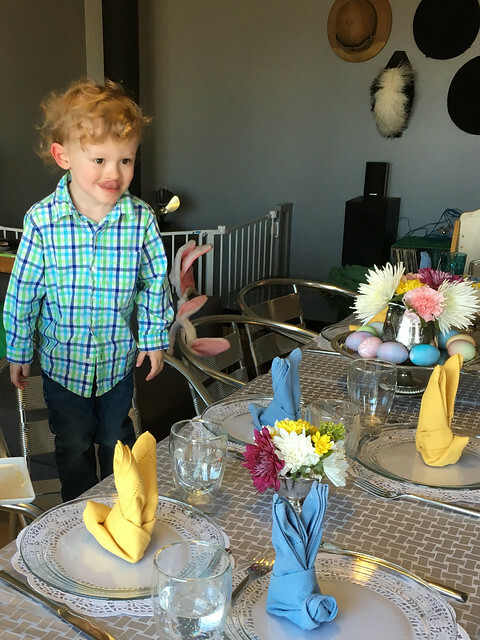 I set the table with cute napkin bunnies (thanks Martha Stewart!) 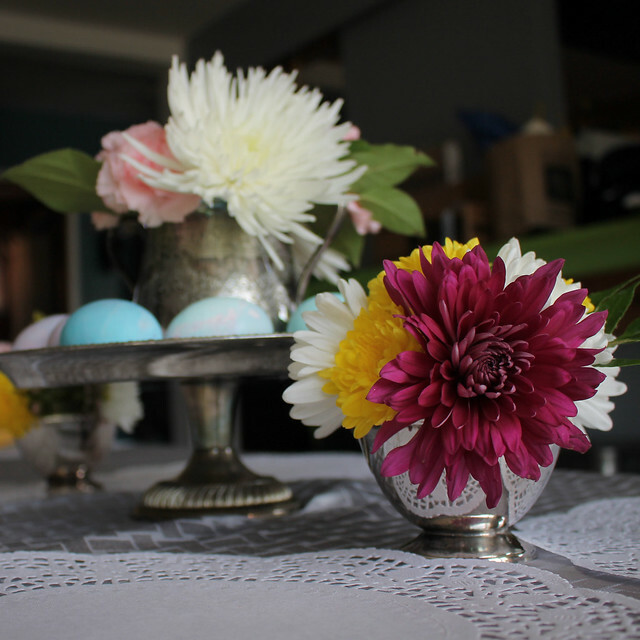 and flowers in some stuff from our silver tea set collection. 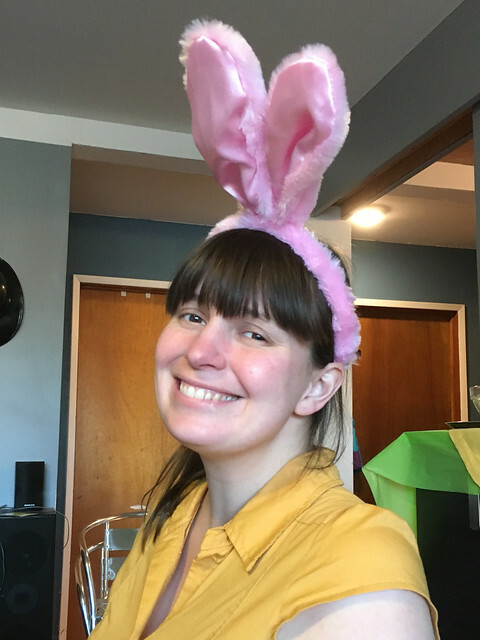 Since we have a huge collection of bunny ears for the Billion Bunny March, I had enough for everyone at dinner. 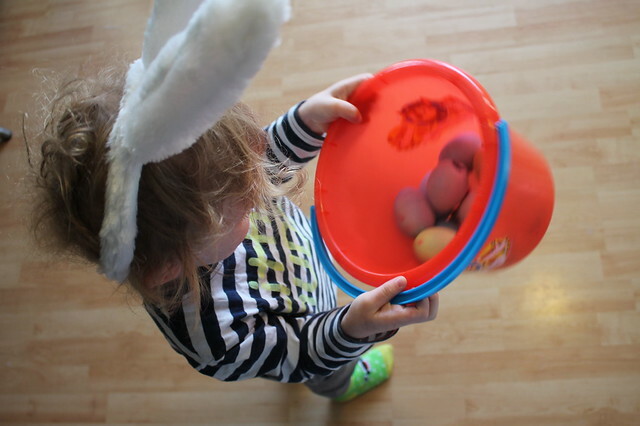 This morning Axel hunted for eggs around the house (the ones we dyed and a few chocolate ones too). 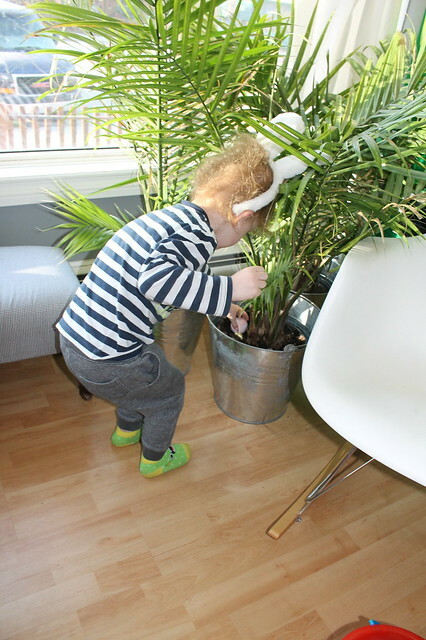 I think Chris and I had as much fun hiding the eggs and watching Axel search for them as Axel had finding them! 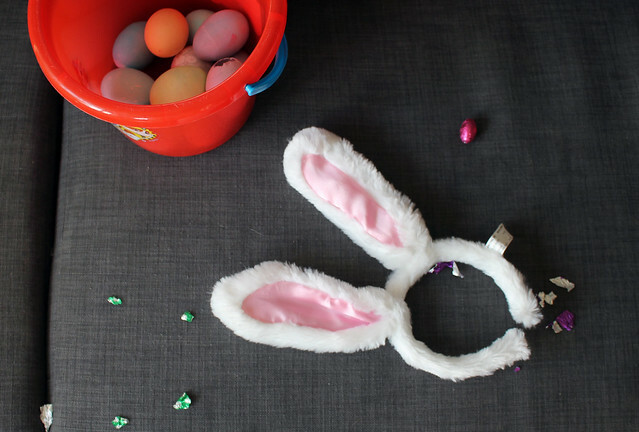 Must say, those pictures look incredible, looks like you had a really awesome Easter. 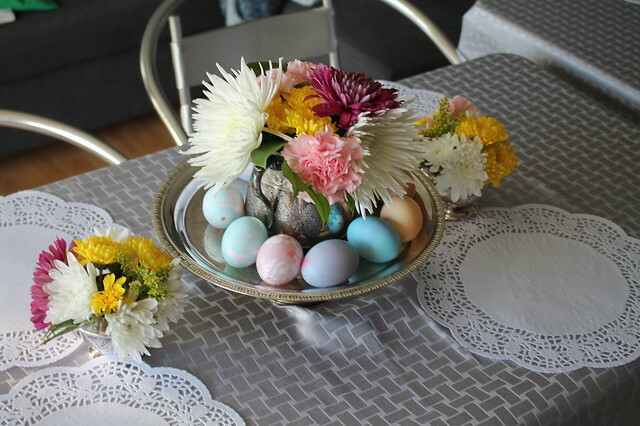 And those marble eggs look really amazing, must try them out.